We purchased a vacation rental home in Breckinridge 6 months ago and have been to a handful of restaurants. A few more than once. Many of them are just not healthy foods. I went online to find new options and after reading about Ember, made a reservation to celebrate my birthday. We walked in and we awed by the awesome contemporary sleek, elegant, warm ambiance. We looked at the menu - I was blown away that 90% o the menu is Gluten Free. YAH!!! I have the hardest time eating out. Then... the food came - Oh my!! What an incredible experience of taste and delight. The combination of flavors, textures and colors was glorious. Even my husband, a meatloaf and potatoes guy - loved it. That's amazing!! From the Kindle (appetizer) to Smolder (dessert) it was just heavenly. I think I thanked my husband 20 times, no kidding, for such an exquisite meal. I have not been that happy after a meal in a loooooonnnngg time! The cherry on the top, we actually got to meet Scott - the owner and chef after dinner. They took us in the kitchen to meet him. When does that happen? The whole team were amazing!! We will never go to Hearthstone again. 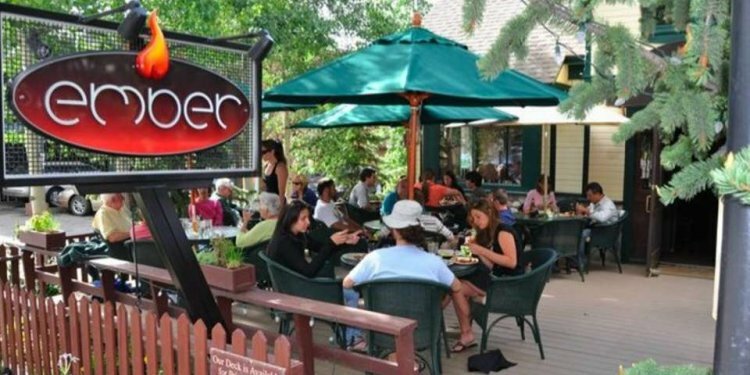 Nothing compares to Ember in Breckinridge! !